This 2 Day course is designed to provide craft attendants with the knowledge and understanding to safely and competently fulfil their role in supporting low voltage and high voltage cable jointers. 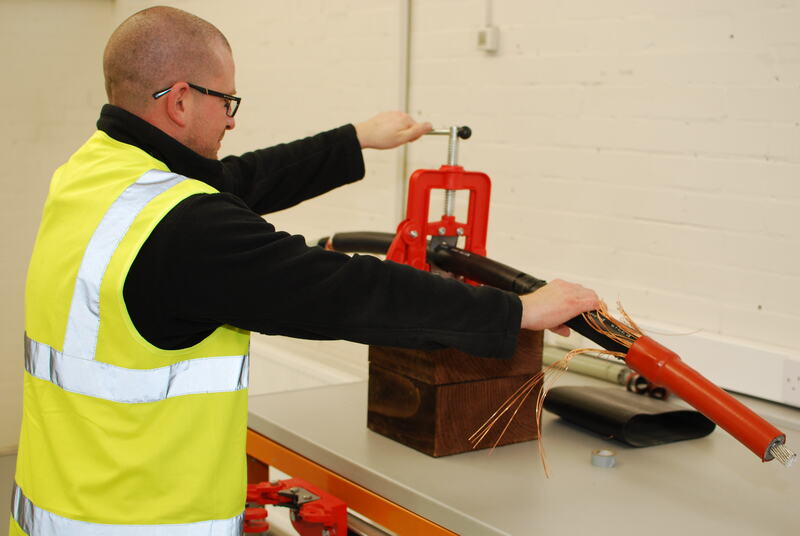 The course aims to introduce candidates to the correct methods involved in the preparation of high voltage polymeric cables prior to the Cable Jointer splicing or terminating the cables. The understanding of how to correctly strip and prepare a cable will enable the candidate to assist in the installation of almost any type of joint or termination by any manufacturer. This course has been specifically designed for individuals wishing to enhance their working career prospects by redeploying into a craft discipline. The course is a mixture of classroom presentations and practical exercises and serves as a good grounding for individuals with aspirations for enhancement within the craft discipline. Train to be a High Voltage Cable Jointers Mate responsible for supporting low voltage and high voltage cable joiners with our training course. Book now by choosing your course date. This training programme does not require previous experience of working with High or Low voltage cables.